Cannondale really do get the point of children’s bikes – they need to be fun to ride, look great, and hopefully inspire lifelong love of cycling and the great outdoors. They are all carefully designed from the ground up for kids – with quality components and the correct geometry for children, who aren’t just small adults. They have a different muscular make-up that means weight needs to be distributed differently so that they reward a child’s efforts, and above all ride safely. No one does aluminium like Cannondale, and these ultralight, durable and beautiful frames provide a ride like no other. 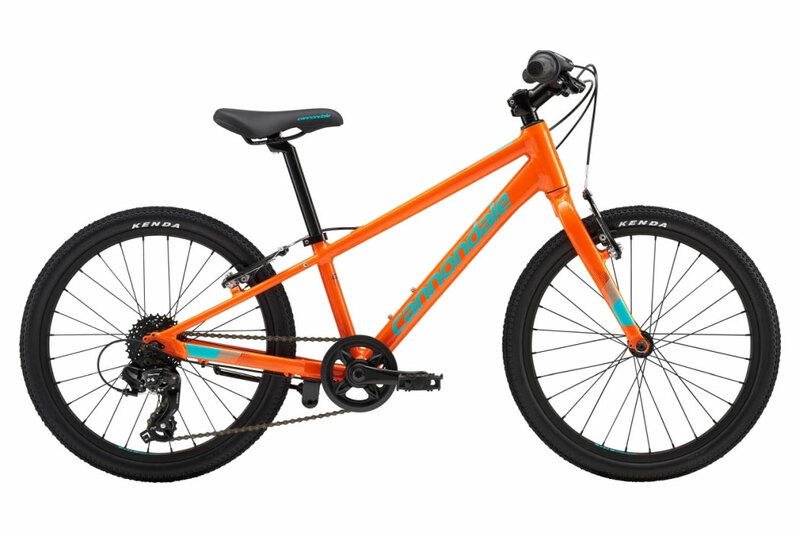 They feature handlebars, grips, brake levers, saddles and cranks that are designed specifically for junior cyclists, and lower range gear ratios that make it easier to start pedaling and easier to climb hills. The right riding position is key for comfort and control. 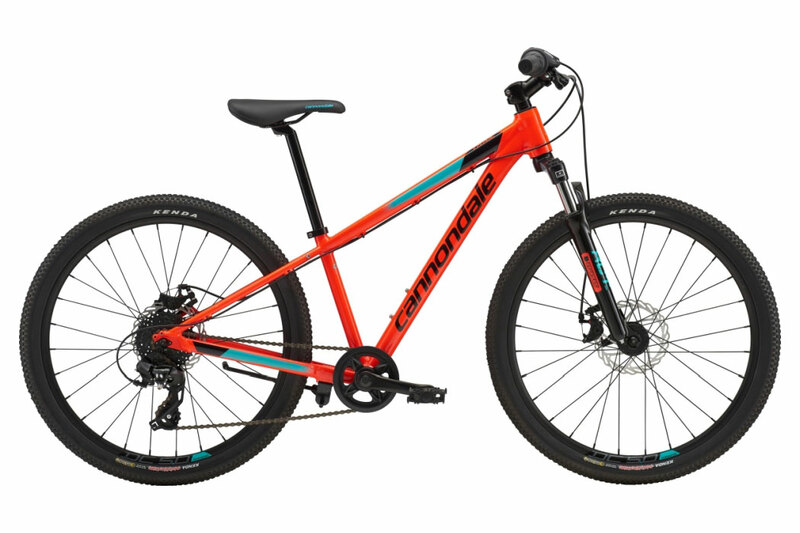 Cannondale’s Kid Correct fit features a “just-right” reach to the bars, narrow-stance cranks, and handlebars, grips, brake levers and saddles sized for smaller riders, making learning easier and riding more fun. 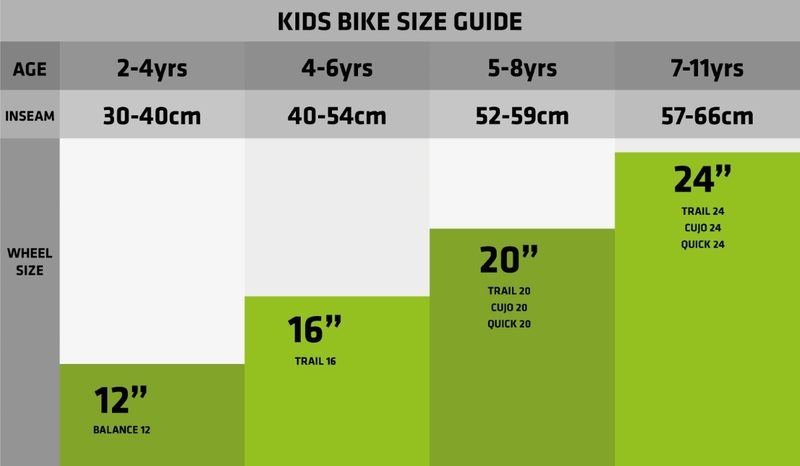 Especially with kids’ bikes—the lighter it is, the easier it is to ride. Cannondale complement their beautifully crafted aluminium frames with lightweight alloy bars, stems and seatposts, and use high-end tires and cassette freehubs (instead of the heavier freewheel hubs found on other kids’ bikes) to give kids every advantage over gravity. Colours and Graphics inspired by kids themselves. 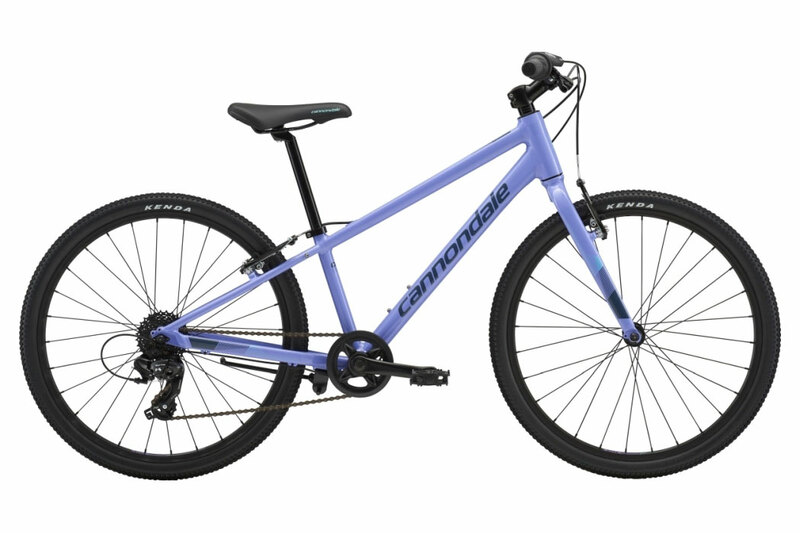 During the design process Cannondale visited schools, where children chose colours and submitted drawings of designs they wanted to see on their bikes. Truly kid-approved, truly “Kid Correct”. 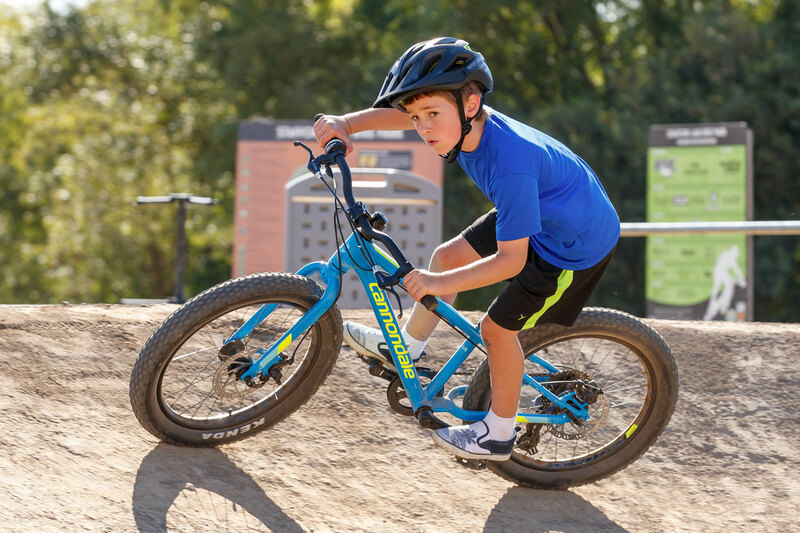 Cannondale kid’s bikes are designed to create amazing first rides – and second, third, and seven-hundredth rides as well. With Cannondale performance and Kid-Correct features, these bikes are a great start to a lifelong love of riding. 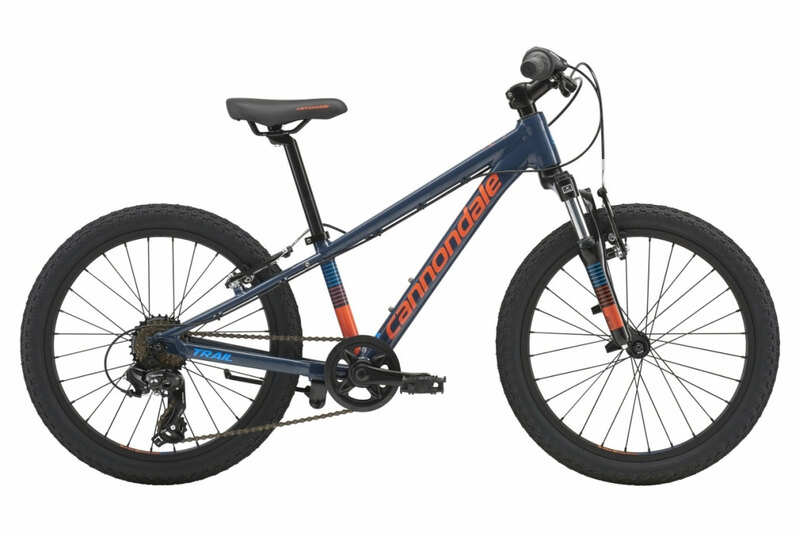 The Cannondale kids’ range consists of three main models of bike. Each model is a little better suited to one or two types of terrain or surface than the others, but none are so surface specific that they can’t be ridden elsewhere, so no-one gets left behind! 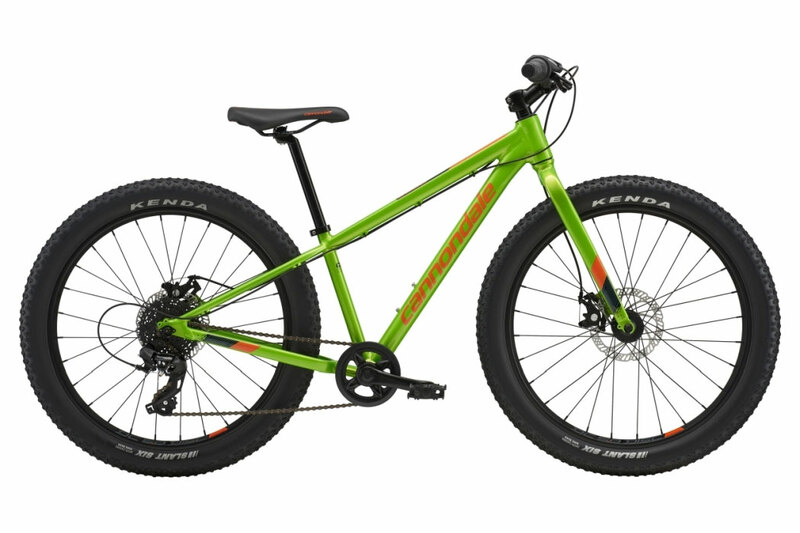 The Cujo features fat tyres and is ideally suited to rough and tumble riding, the Trail has front suspension for fast riding over dirt and tracks, while the Quick is lighter and quicker over paved surfaces. The manufacturer's RRP with standard components is £349.99 – but to receive our Epic EVERY DAY LOW PRICE please see below. Or if you join Epic Cycles Club we offer up to 12% off the RRP of standard specification models. The manufacturer's RRP with standard components is £379.99 – but to receive our Epic EVERY DAY LOW PRICE please see below. Or if you join Epic Cycles Club we offer up to 12% off the RRP of standard specification models. Light, agile and fun, this sporty machine is up for anything from bike path cruising to trail blazing. The manufacturer's RRP with standard components is £299.99 – but to receive our Epic EVERY DAY LOW PRICE please see below. Or if you join Epic Cycles Club we offer up to 12% off the RRP of standard specification models. Fast rolling tires, wide range gearing & confident stable handling make this one seriously high-performance street machine. The manufacturer's RRP with standard components is £329.99 – but to receive our Epic EVERY DAY LOW PRICE please see below. Or if you join Epic Cycles Club we offer up to 12% off the RRP of standard specification models.